"The International Trade Show for Fabrics, Trim and Accessories"
Texworld USA is one among the largest sourcing event in the east coast featuring apparel fabrics and the fabrics industry. This fair provides new firms to spread their contacts all across the globe and create awareness about their brand worldwide. It helps in establishing contacts from potential clients and network with different industries. This fair provides a great opportunity to keep an eye on competitors and strategize accordingly to experience an overall growth in the brand status. .. continue reading Exhibitors can endorse their products and brands related to the textile industry among a crowd full of interested audience. The fair offers an opportunity for various brands and distributors to view a large range of textiles and fabrics among the most astounding garment, fabrics and textile mills all across the world under a single roof. The event focuses on raising the standard of fabrics industries all around the globe. Even Though, I couldn't find a manufacturer from India, I enjoy the whole experience. I am looking to find a manufacturer from India, that preferably has established business with companies located in the USA.By the way, I am looking for 100% Indian Cotton provider. Vibrant, and well- organized. Loved the sign in girls with their knit caps and round sunglasses - marvelous and upbeat.However, the little square catalog was a bit confusing the way it was organized. Hard to see all the attendees in one spot. It was very helpful show for me. inspirable zone to me was colorswatch zone. I recommend a fewdesign schools may be added withtheir challenging project that isdefinitely for fabric, fashion and apparel. Overall, it was quite goodshow. 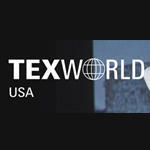 Texworld USA will display the products of more than 350 exhibitors. The attendees will get to exhibit, Cotton, Denim, Embroidery, Fibers, Functional Fabrics, Knits, Lace, Linen, Prints, Silk, Silky Aspects, Wool, Activewear.? Children and Infantwear, Juniorwear, Ladieswear, Bridal and Cocktail wear, 18 Menswear, Sportswear, Swimwear and Lingerie. Zhejiang Yizhong Textile And Garments Co., Ltd.
Citadines Connect Fifth Avenue ..